Custom Roll Forming Machine adopt advanced on-line pre-punching cold roll forming technology. Witch can reduce the production and processing difficulty of cold roll formed parts with holes. And also reduce the consumption of materials, and ensure the cold-forming properties of cold-formed sections, the hole position precision and surface quality. Thus to expand the application range of cold-formed profile and optimize the forming section of cold-formed profile. Because of its strong anti-interference ability, high reliability and small volume. PLC is an ideal control device for realizing the electromechanical integration of line pre-punching roll forming machine. The closing control technology includes: speed matching between uncoiler and leveler. Manual operation: through touch screen and button to achieve the production line configuration of the single machine unit to start, stop, set up each debugging and maintenance. Auxiliary operation handle set forward and backward point mode. Finally to achieve Cold bending operation of the lead belt and fault treatment. Automatic operation: through touch screen control, button station control to achieve the custom roll forming machines continuous working. The workers can control the line through the touch screen or auxiliary button to control line speed, production quantity, fixed length and correction value, etc. And the touch screen display the actual production, the actual operation speed of the production line, PLC detected fault information and so on. 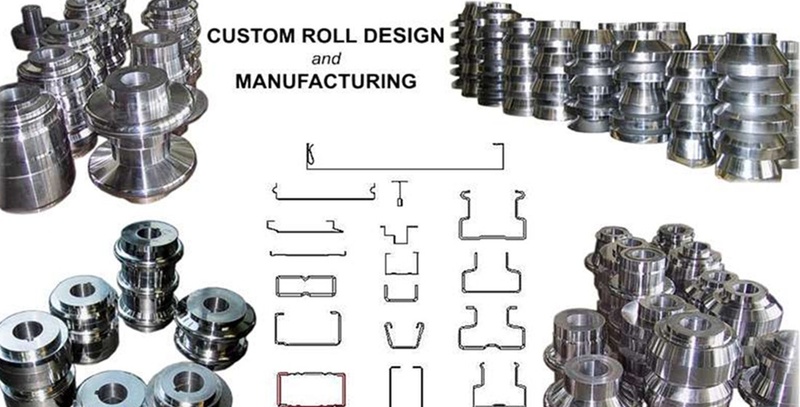 Contact us for more information of roll forming machine designs and prices.